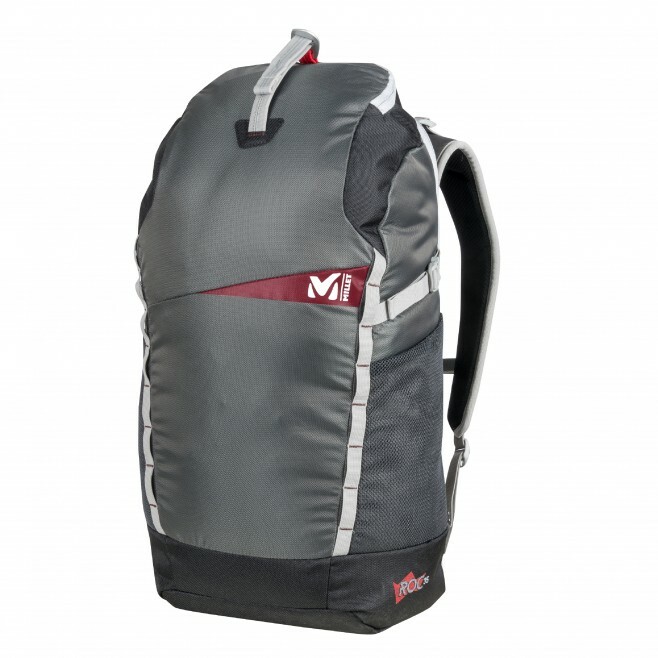 A new addition to the MILLET climbing range, this 35L backpack is a true companion for crag climbing. Designed to carry all your gear from car to foot of climb, the ROC 35 is perfect for climbing trip s. With a comfortable back system and ergonomic shoulder straps for approach walks, it also has a large suitcase-style rear opening for easy access to your stuff. Inside, everything is arranged and compartmentalized for optimal organization and storage of your kit: tarp for rope on arrival; sealed chalk bag; housings for shoes, harness and quickdraws; security pocket for cellphone, water and route book. It's got the lot! You save time and can also, if necessary, stow a second rope on top of the pack. The perfect operator for the vertical realm.